Pamplin Media Group - Get ready to Howl! Are you a fan of being covered in mud? Do you enjoy exerting large amounts of energy by climbing over, under and through a series of grueling obstacles? Does the thought of carrying a heavy sandbag up and down a hill on a hot summer evening excite you? If you answered yes to any of those questions, then Lake Oswego's Parks & Recreation Department is looking for you — because the 2018 Howl at the Moon Adventure 5K is just around the corner. And this year's race promises to be as challenging as ever. 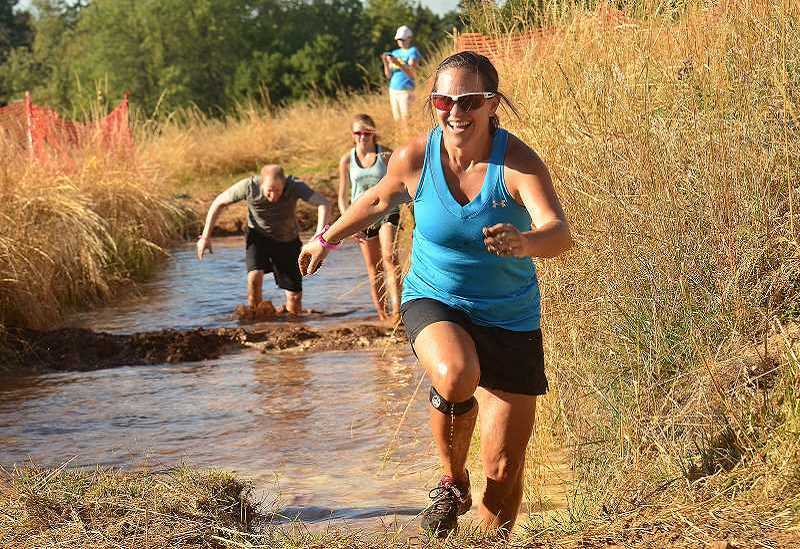 Hundreds of adrenaline junkies and running enthusiasts are expected to descend on Luscher Farm on Friday, July 27, to run in the fourth-annual race, which will pit entrants against the elements and 17 man-made obstacles dreamed up by Parks & Rec's eccentric staff. The course will be open to runners age 10 and up from 5-8 p.m. The race will then be followed until 9:30 p.m. by the "Barn Bash" — a post-run celebration featuring music, games, beer and cider from Ancestry Brewing, food from Two Guys and a Grill, and sweet treats from UpStar Ice Cream. Since its start in 2015, Howl at the Moon has become one of Luscher Farm's signature summer events. Recreation Supervisor Jamie Inglis says the race continues to gain popularity among families and fitness fanatics in and around Lake Oswego, with last year's event seeing nearly 600 participants. "The great thing about this course is it's made for all different age levels, so if you want to skip an obstacle or do one twice, we don't care," Inglis says. "We just want you to go out on the course, be healthy and fit, and have fun." As always, course designers Eric Hirshberger and Kyle Bateman have a few new tricks up their sleeves. The 3.1-mile course will include crawling through mud pits, squeezing through tires, navigating balance beams, scaling structures and sprinting up the "hills of torture." 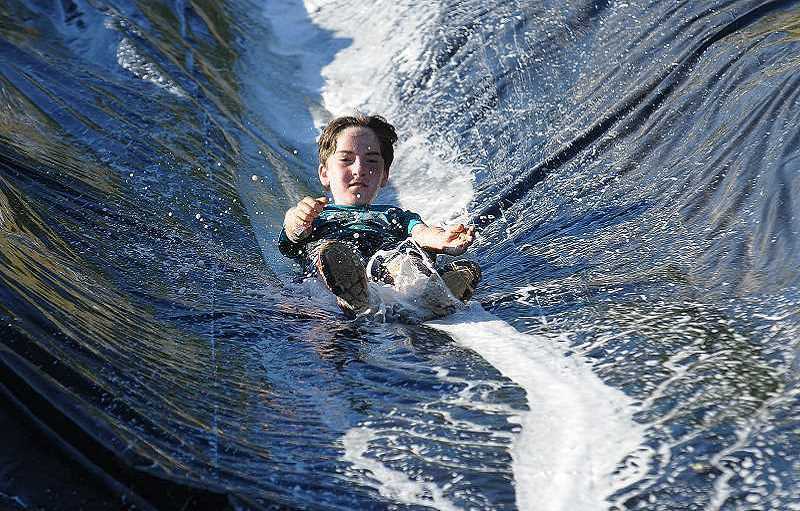 This year, the fan-favorite water slide will feature multiple lanes to allow more than one participant at a time. Hirshberger and Bateman hope the change will help alleviate some of the bottleneck that usually occurs at the top of the slide and allow the race to flow more naturally. 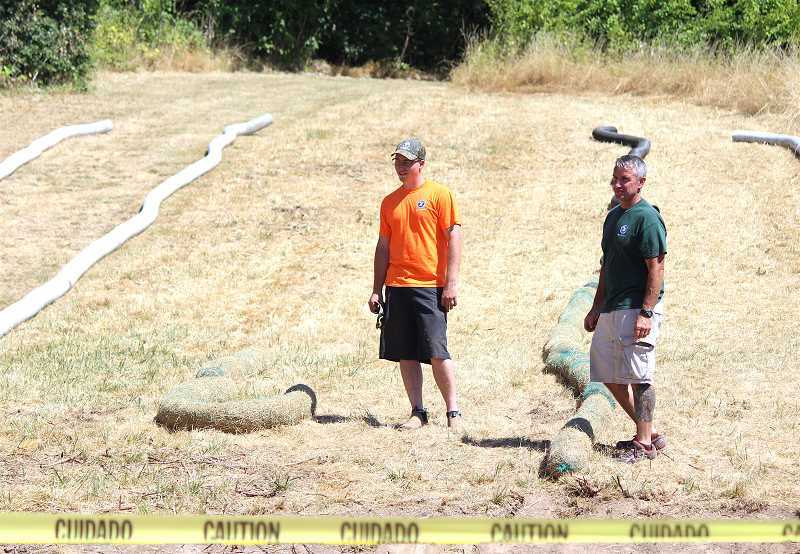 The slide has also been moved from its usual location to make room for a mud hill that participants will be forced to scale before getting their turn in the water-filled chute. Registration for Howl at the Moon is now open and will be available on the day of the event. The race costs $55 for a single adult and $35 for kids ages 10-17. Teams can register together for a discounted price of $150 for a team of four, $185 for a team of five and $220 for a team of six. Register online at bit.ly/Howl2018 or call Parks & Rec at 503-675-2549. Note that there is no onsite parking for the event, but shuttles run about every 10-15 minutes from three locations: Lakeridge High School (1235 Overlook Drive), Hazelia Field (17800 Stafford Road) and C3 Church (17979 Stafford Road).